 How to spot a fake Nike Air Max 90 sneakers | iSpotFake. Do you? 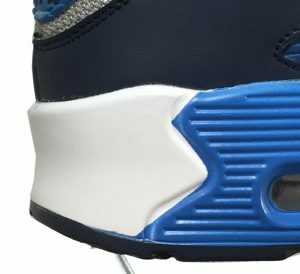 The outsole on the red pair of Air Max 90’s is made of rubber while the blue pair’s outsole is made of PU foam that has been painted! I also noticed the blue sneaker is much lighter than the red Nike sneaker. 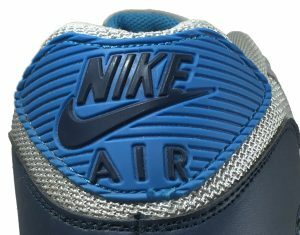 Look closely, the blue shoe is actually missing the “Nike” logo. 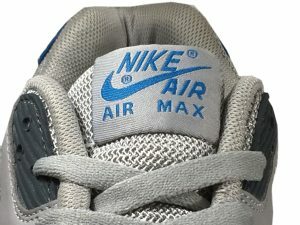 The blue must be the Nike Air Max 90 counterfeit! That was just too easy! 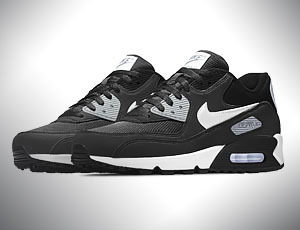 There are fakes made by many fraudulent companies, some are better than others, let’s look at a few other construction details that will help you tell the difference between the original Nike and the counterfeit Air Max 90. Real shoe has the “Nike+Swoosh” label sewn down on all four sides. The fake is turned and stitched into the tongue seam. While this is a nicer way to attach the tongue logo, it’s not the Nike OG construction. Take another look at the art work. On the real patch the tail of the swoosh overlaps the “E” of Nike and the head of the swoosh almost touches the “N”. Notice the fake label has the “Air” logo twice. 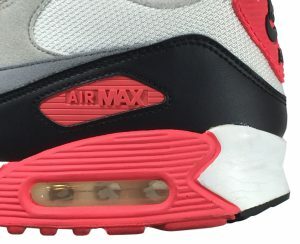 On our fake Air Max 90 the stitching groove interferes with the “A” and the “R” of the Nike Air logo. Also, the counterfeit shoe “Air” logo is missing the molded ribs below the letters. 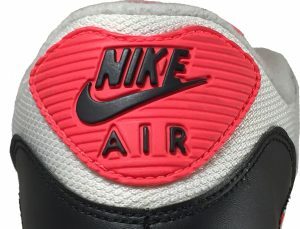 Additionally, the top shape of the OG Nike patch has a significant dip in the middle. Counterfeit Nike has a two-tone logo, while the real deal Nike has a single color. 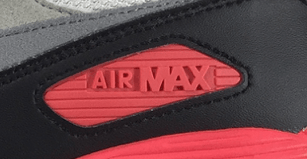 When you feel the logo, the OG Nike Air Max logo is made of stiff plastic, this is due to its location on the shoe being just above the outsole. The fake logo is softer material and is distorted when the shoe is assembled. The original logo is made by plastic injection vs. the soft PVC logo on the fake shoe. 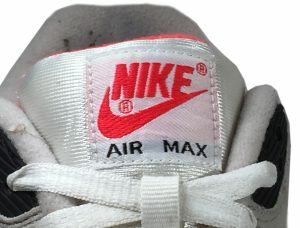 While the Air Max original paint work isn’t perfect, the fake Nike paint work is a mess with paint outside the lines. The original Nike shoe has a 3D compression molded EVA footbed with the outsole design pattern and printed logo. 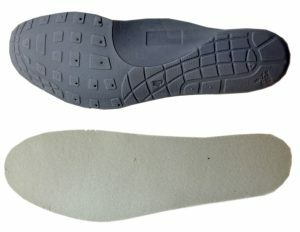 The counterfeit Air Max 90 has a super cheap die cut foam sheet.